The 2 razor-sharp edges of the Ridge Knife last 2-3 times longer than the edge found on today’s conventional flat knives, allowing you to run longer at a higher feed rate, and produce more quality flakes. 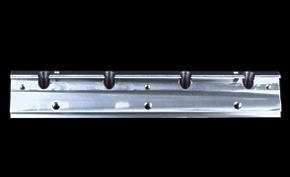 The Ridge Strip Knife's unique ridge feature helps to formulate the flake and provide a smooth path for it to travel, minimizing fines. 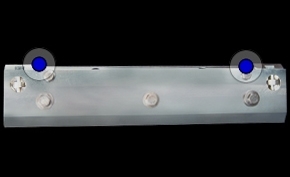 The adjustable knife-setting feature gives the user the ability to adjust knife extension to meet flake quality requirements. The advanced design of the Ring Slicer maximizes chip flow and reduces drag on the knife-ring to minimize power consumption. Due to the Ridge Knife’s resistance to wear the edge stays sharp and efficient longer, decreasing the amount of power needed during operation. Adjustable knife settings for fine micrometer knife adjustments that can be made in the ring assembly. CNC machined from mild steel. Both the inside and outside ring support the base assemblies into a concentric circle of knives, and provides the rotation. 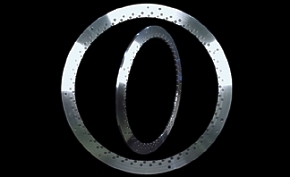 The outside ring has adjustable locating blocks for quick and easy knife-ring changes. 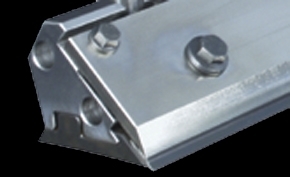 CNC machined from structural steel for exceptional wear resistance and durability. A special surface coating is applied to protect from corrosion. It firmly clamps the Ridge Knife against the wear shoe for precise edge placement, and to minimize packing. The unique spring clamping design allows for quick and simple knife changes. 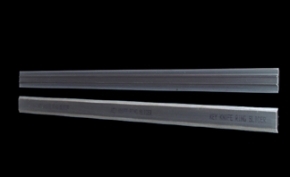 Manufactured from modified tool steel and heat treated for superior knife life. The knife is indexible, eliminating the need for grinding. 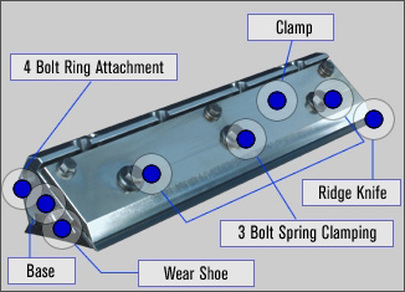 An innovative ridge design improves the formulation of quality flakes, and protects the clamp from wear. The size of the Ridge Knife makes it safer to handle and easier to dispose of. Features 3 bolt spring clamping for quick and easy knife releasing and clamping. 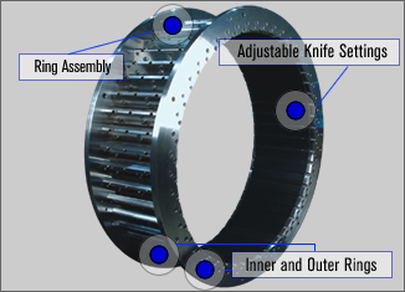 The innovative design allows for knife changes to be made in the ring assembly. 45, 50, 60, and 75 knife configurations- The design of the Ring Slicer allows for more knives in a ring compared to conventional knife-rings. 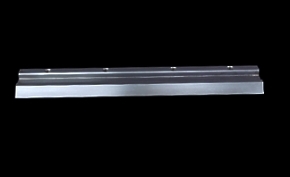 By increasing the number of knives in a ring mills benefit from increased production capabilities. CNC machined from modified tool steel. It is heat treated and tempered for strength and wear resistance. The heavy-duty design and increased thread depth provides greater clamping and knife stability to eliminate packing of material. 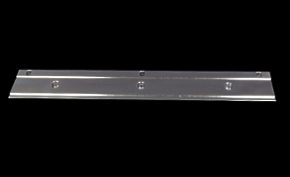 CNC machined from structural steel for exceptional wear resistance and strength. The base holds the clamp, wears hoe, and both the inner and outer rings in place. The innovative design allows for quick and easy replacement of entire base assemblies, and access to fasteners when attached to the ring assembly. 4 bolt ring attachment allows for quick and easy base assembly removal.